Prepare a planting bed in full sun in the garden by tilling about 8 or 9 inches deep until the soil is loose and friable. Spread a 1-inch of Blessings Blends OMRI-Listed Premium Compost (.5.-.5-.4) and mix it into the soil. Bury the seeds 1/4 inch deep in a shallow furrow, spacing the seeds 2 to 3 inches apart. Cover the seeds lightly – dill seeds require light to germinate. Keep the sown area evenly moist until seedlings appear, then taper off. Dill seeds should germinate in seven to 10 days. 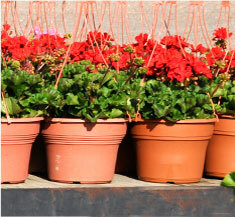 Thin the seedlings to stand 10 to 12 inches apart when they are about 4 inches. 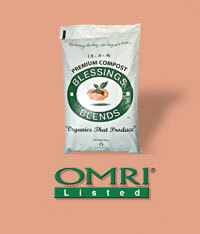 Apply Blessings Blends OMRI-Listed Premium Compost (.5-.5-.4) for best results.